HTC Unveiled the new mid-range handset called HTC Desire 600. HTC Desire 600 comes with dual SIM and offer HTC latest Sense 5 with HTC BlinkFeed and HTC BoomSound. Both these features can be find in HTC latest flagship device HTC One. HTC Desire 600 has 1.2 GHz Quad-Core, dual SIM, 4.5-inch super LCD2 display, 8 MP rear camera and 1.6 MP front facing camera. The phone runs on Android 4.2 Jelly Bean with Sense 5 UI. HTC BlinkFeed is the new feature in Sense 5 that will transform the home screen into a customizable news reader. BlinkFeed provides fresh content from more than 1,400 media sources. 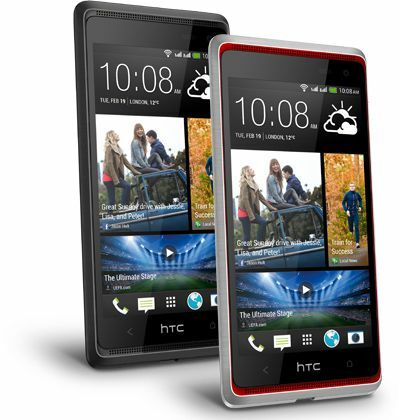 HTC Desire 600 equipped with 8 MP rear facing and 1.6 MP front facing camera. The new Video Highlights features automatically creates professional-looking 30-second show reels without the need for advanced editing software. Simply select a music theme, alter the sequences and share your life movie with friends, family and social networks with a single tap of the screen. 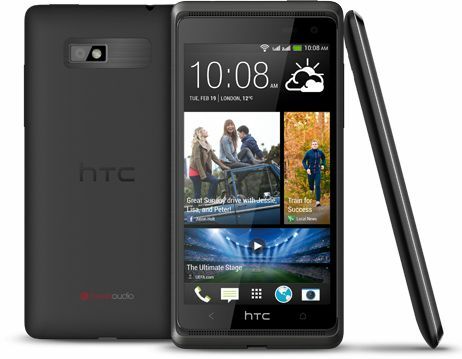 This features getting very popular among HTC One users and now it’s available on HTC Desire 600. The dual front facing speakers comes with built-in amplifiers which will give you sharper, richer and high quality sound. HTC Desire 600 comes with 1 GM DDR2 RAM, 8 GB Internal Memory and 25 GB of Dropbox space. Other this Desire 600 is NFC & infrared remote control capable. The phone comes MicroSD Card slot and Removable Battery which is missing in HTC One. As usual HTC Desire 600 packs with powerful camera, 8 MP rear comes with auto focus, LED flash, BSI sensor, F2.0 aperture and 28 mm lens. The camera is capable to record 720p HD video. Users can simultaneously Shoot and record video. The new HTC Desire 600 dual SIM will be available with mobile operators and major retailers in a number of markets from early June 2013.